Le livre d’Abramelin, en tant que document historique, est plutôt singulier. Écrit dans un style simple et inchangé, il décrit avec une piété intense un travail magique de dix-huit mois destiné à amener l'opérateur à entrer en contact avec son « ange gardien sacré » et d'autres anges de Dieu, fournissant ainsi de nombreuses capacités magiques comprenant les pouvoirs de la prophétie, la guérison, l’accès aux trésors cachés, etc., principalement en prenant le contrôle de plusieurs esprits démoniaques. Le texte est complété par l'autobiographie d'Abraham, ses expériences d'enseignants magiques, ses errances dans le désert et sa rencontre avec le juif égyptien chaldéen nommé Abramelin - et ce qui s'est passé ensuite..
Abramelin, dit le Mage ou le Magicien, était le maître égyptien, vraisemblablement Caïnite, du Juif Abraham ben Siméon de Wurtzbourg (Bavière, Allemagne), lequel serait né en 1362 et décédé en 1460, à 98 ans. Le Livre d'Abramelin est le récit, par Abraham ben Siméon, de son parcours initiatique, de sa rencontre avec son maître et de l'Opération Magique que celui-ci lui a confié, permettant d'atteindre à la Connaissance et à la Conversation de son Saint Ange Gardien. Abraham ben Siméon affirmait que, grâce à la magie remise à lui par son Ange au terme de cette Opération, il avait pu aider l'Électeur de Saxe Frédéric au combat, mais aussi le comte de Warwick lors de son évasion, ainsi que l'antipape Jean XXIII (1410-1415) lors du concile de Constance. 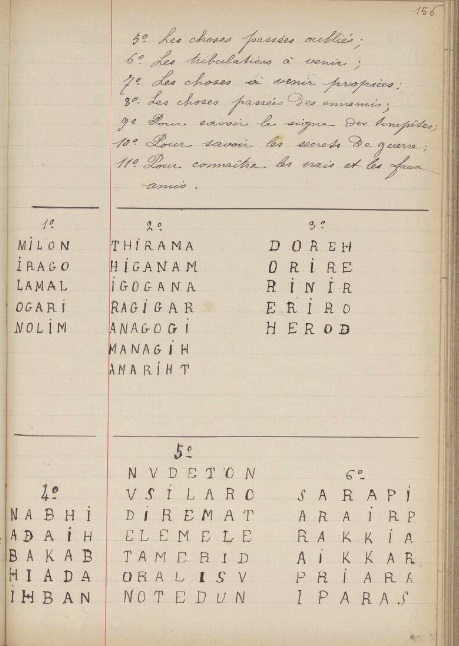 Cette magie repose essentiellement sur le pouvoir des nombres et des noms sacrés. Elle implique une ascèse rigoureuse et une grande pureté spirituelle. 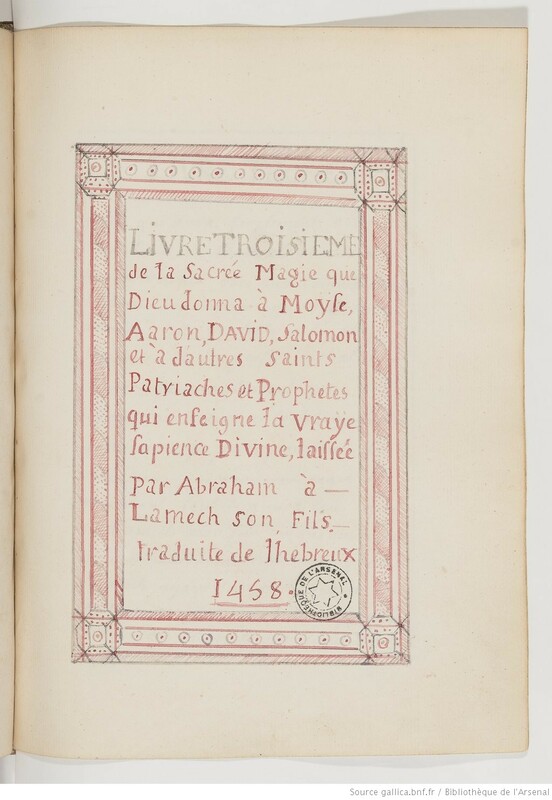 La magie sacrée d'Abramelin le Mage (ou le Magicien) est un manuscrit français, composé de trois tomes qui se trouvent à la bibliothèque de l'Arsenal, à Paris. 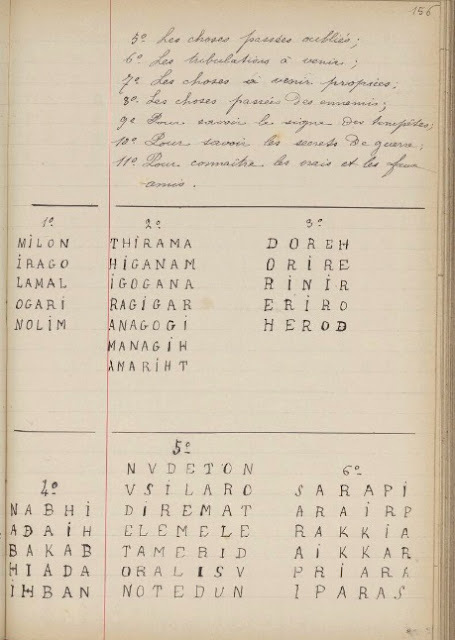 Cet ouvrage, que certains considèrent comme étant un faux forgé au XIXème siècle (1883), passe pour être la traduction d'un grimoire, rédigé en hébreu et datant de 1438, dans lequel Abraham ben Siméon aurait consigné tout le savoir magique reçu de son maître Abramelin. 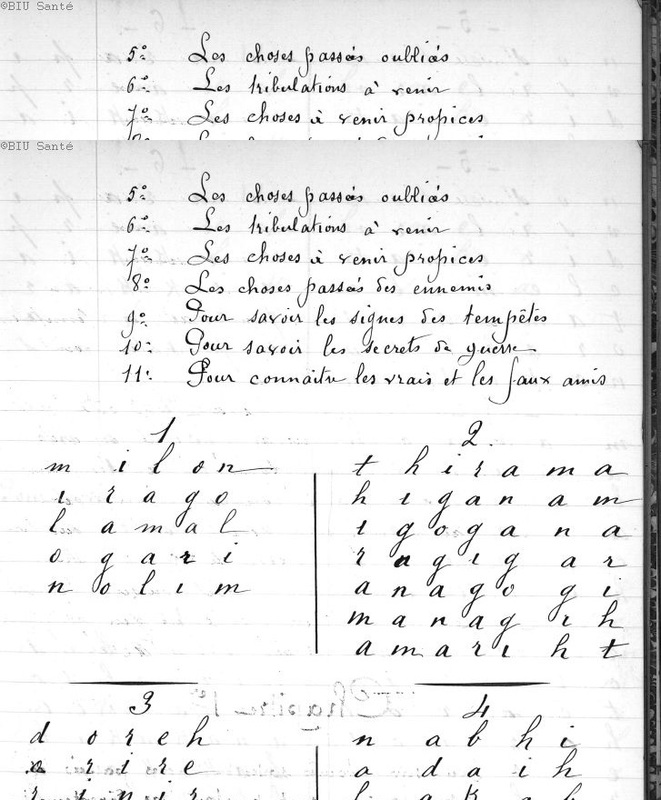 Ces textes reparaîtront en 1899, ayant fait l'objet d'une nouvelle traduction par le magicien britannique McGregor Mathers. Aleister Crowley, disciple du précédent, s'inspirera par la suite de l'ouvrage de son ancien maître pour composer certains de ses rituels. Le texte à la Bibliothèque de l'Arsenal à Paris n'est pas complet. Il ne comporte que trois livres au lieu des quatre livres rédigés en langue allemande. 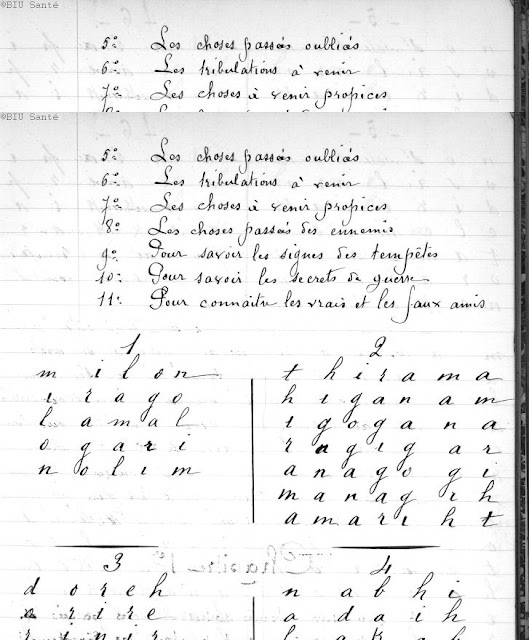 En outre, il y a eu des erreurs de transcription et des lacunes. 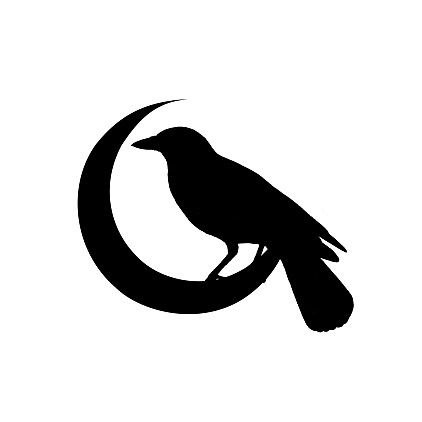 Si vous recherchez d'avantages de sources concernant la Magie d'Abramelin, je vous invite à consulter les 'sources' situées en fin de page. 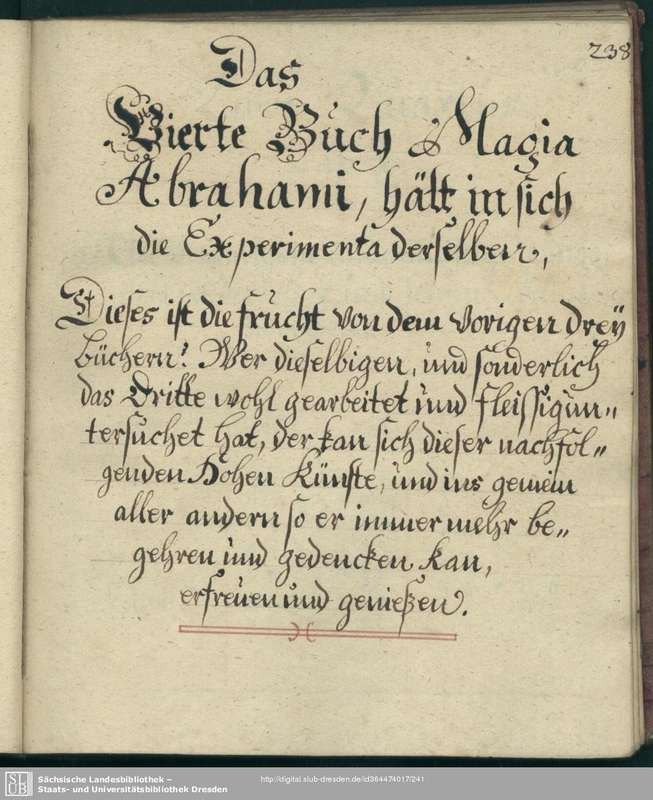 The Book of Abramelin tells the story of an Egyptian mage named Abraham (pronunciation: (ɛ́jbrəham)), or Abra-Melin, who taught a system of magic to Abraham of Worms, a Jew in Worms, Germany, presumed to have lived from c.1362–c.1458. 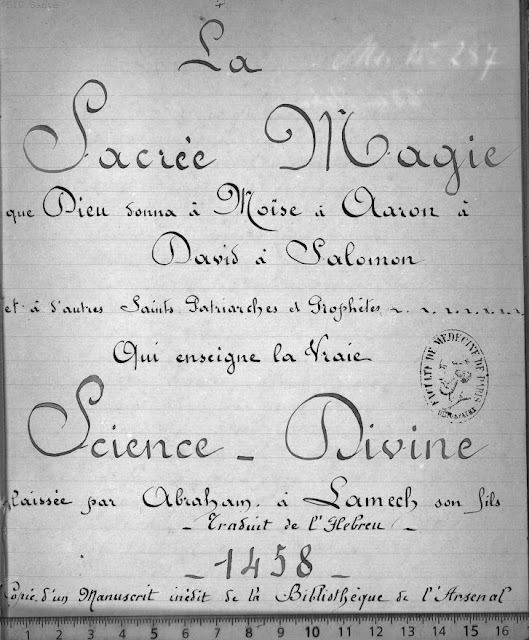 The system of magic from this book regained popularity in the 19th and 20th centuries partly due to Samuel Liddell MacGregor Mathers translation, The Book of the Sacred Magic of Abramelin the Mage; and partly to its importance within the Hermetic Order of the Golden Dawn, and later within the mystical system of Thelema (created in 1904 by Aleister Crowley). Mathers used the least-reliable manuscript copy as the basis for his translation, and it contains many errors and omissions. The later English translation by Georg Dehn and Steven Guth, based on the earliest and most complete sources, is more scholarly and comprehensive. Dehn attributed authorship of The Book of Abramelin to Rabbi Yaakov Moelin (Hebrew יעקב בן משה מולין; ca. 1365–1427), a German Jewish Talmudist. This identification has since been disputed.. The book exists in the form of twelve manuscripts and an early printed edition. The provenance of the text has not been definitively identified. The earliest manuscripts are two versions that date from about 1608, are written in German and are now found in Wolfenbüttel. Another two manuscripts are in Dresden, and date from about 1700 and 1750 respectively. The first printed version, also in German, dates to 1725 and was printed in Cologne by Peter Hammer A partial copy in Hebrew is found in the Bodleian Library in Oxford, and dates from around 1740. A manuscript copy existed in French in the Bibliothèque de l'Arsenal in Paris, an institution founded in 1797. 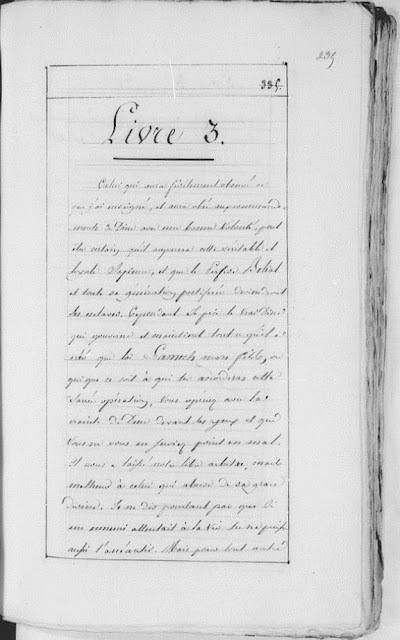 The French copy has since disappeared, but is available on microfilm. Another 17th-century manuscript in Italian exists in the 'Legato Martinengo' of the Queriniana Library in Brescia, Italy. It was part of the collection of the Count and Qabbalist Leopardo Martinengo of Barco and Torre Pallavicina. The manuscript, unknown for centuries to international researchers until 2009, has been found by academic researcher Maria Elena Loda in the esoteric section. At the moment, it is the only known manuscript translation in the Italian language of the Abramelin grimoire. All German copies of the text consist of four books: an autobiographical account of the travels of Abraham of Worms to Egypt, a book of assorted materials from the corpus of the practical Kabbalah (including some which is duplicated in the German-Jewish grimoire called "The Sixth and 7th Books of Moses") and the two books of magic given by Abramelin to Abraham. The well-known English translation by S.L. MacGregor Mathers from the French Manuscript in Paris contains only three of the four books. The Hebrew version in Oxford is limited to Book One, without reference to the further books. Of all the extant sources, the German manuscripts in Wolfenbüttel and Dresden are taken by scholars to be the authoritative texts. According to respected Kabbalah scholar Gershom Scholem, the Hebrew version in Oxford was translated into Hebrew from German. An analysis of the spelling and language usage in the French manuscript indicates that it dates to the 18th century and that it was also likely copied from a German original. Although the author quotes from the Jewish Book of Psalms, the version given is not from the Hebrew; rather, it is from the Latin Vulgate, a translation of the Bible employed by Roman Catholics at that time. The text describes an elaborate ritual whose purpose is to obtain the "knowledge and conversation" of the magician's "guardian angel." The preparations are elaborate, difficult, and long. All of the German texts describe a duration for the operation of 18 months before any divine contact is known. In the Mathers translation, the initial phase of working the system lasts only six months. After the preparatory phase has been successfully completed, the magician's Holy Guardian Angel will appear and reveal magical secrets. Once this is accomplished, the magician must evoke the 12 Kings and Dukes of Hell (Lucifer, Satan, Leviathan, Belial, etc.) and bind them. Thereby, the magician gains command of them in his own mental universe and removes their negative influence from his life. Further, these spirits must deliver a number of familiar spirits (four principal familiars, and several more associated with a set of magical word-square talismans provided in the Abramelin's Book Four). The magical goals for which the demons can be employed are typical of those found in grimoires: the practitioner is promised the ability to find buried treasure, cast love charms, the ability of magical flight, and the secret of invisibility, to list a small number of examples. 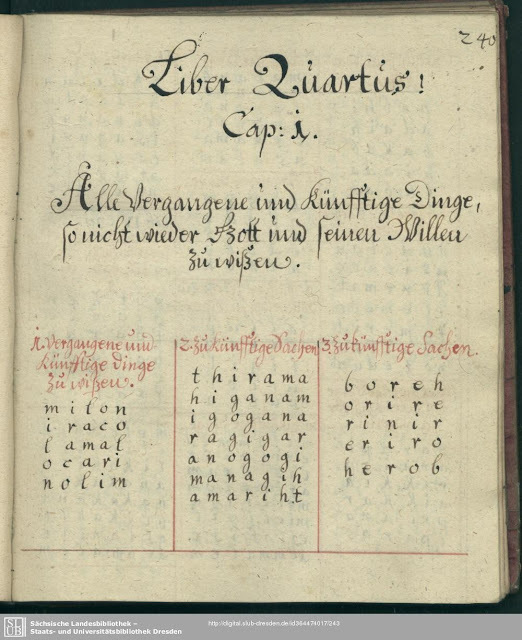 Magic squares feature prominently in the instructions for carrying out these operations, as does a recipe for an anointing oil (taken from Exodus 30), popularly used by ceremonial magicians under the name "Abramelin Oil". There are also several further tools - such as a holy Lamp, a Wand made of an almond branch, a recipe for incense known today as "Abramelin Incense" (also taken from Exodus 30), various Robes, a square or seven-sided plate of silver or (bees) wax, etc. Because the work involves evocation of demons, the Abramelin operation has been compared to Goetic magic, especially by European scholars. However, the text's primary focus is upon the invocation of the guardian angel, and modern works on the subject tend to focus upon this aspect as well. 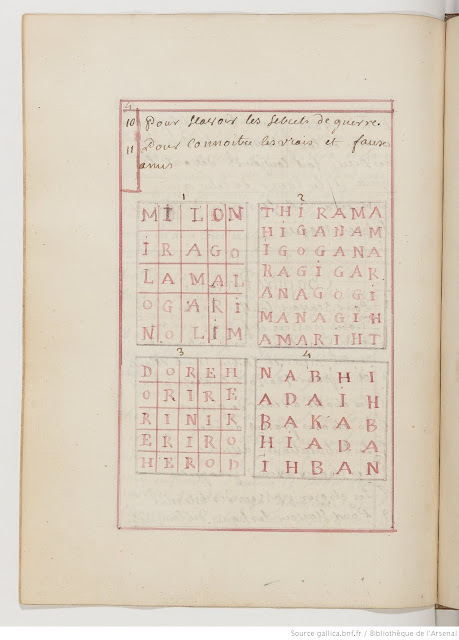 The practical magic of Abramelin (found in both Book III of the French text, and Book IV of the German original) centres around a set of talismans composed of magic word squares. These are similar to traditional magic squares, though the latter are usually composed of numbers, while Abramelin's squares contain letters. Commonly word squares are used as puzzles or as teaching aids for students. In the context of Abramelin, the focus becomes mystical—so that each square should contain words or names that relate to the magical goal of the square. A parallel is found in the famous Sator Arepo Tenet Opera Rotas word square, an altered version of which is also found among Abramelin's squares. For example, a square entitled "To walk underwater for as long as you want" contains the word MAIAM (מים), the Hebrew word for "water". A square for recovering treasures of jewelry begins with the word TIPHARAH (תפארה, a variant of Tiferet), which can mean "golden ring" in Hebrew and is also the name of the sphere of "Beauty" (which has the planetary attribution of the Sun) on the Kabbalistic Tree of Life. Author : Paulmy (Antoine-René d'Argenson, marquis de). Auteur du texte / Author : Vigenère (Blaise de). 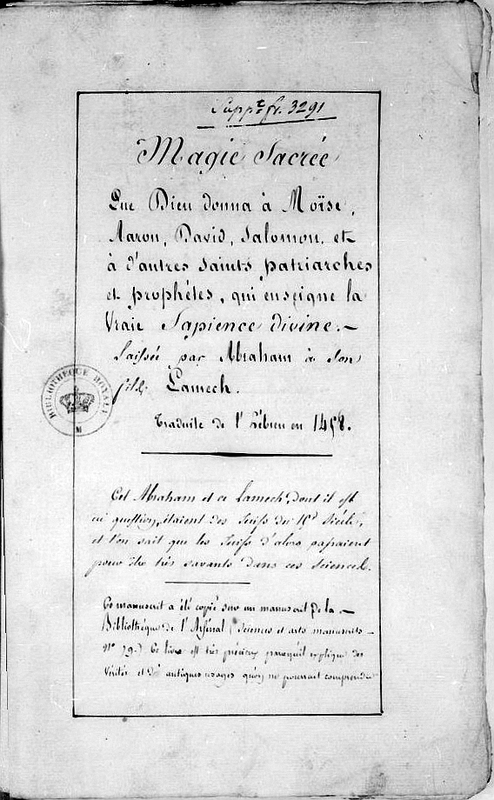 Titre / Title : « La Magie sacrée, que Dieu donna à Moïse, Aaron, David, Salomon et autres saints patriarches et prophètes, qui enseigne la vraie sapience divine, laissée par Abraham à son fils Lamech ; traduite de l'hébreu en 1458. » — Copie du ms. 2351 (Sc. et Arts, fr. 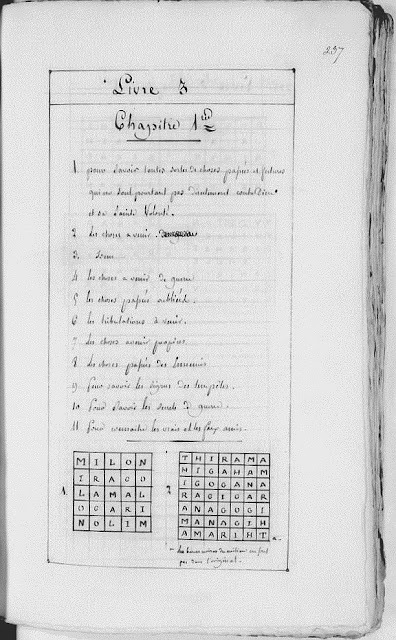 79) de la bibliothèque de l'Arsenal ; « Anachrist, ou manière d'avoir communication avec les bons anges par les Psaumes et ouvrages du prophète royal David... » ; « Clavicule de la sacrée Caballe juive, ou véritable traité de la Caballe juive... » ; « Sepher, mot à mot de la lettre... » Continuation of text l'Arsenal ; « Anachrist, ou manière d'avoir communication avec les bons anges par les Psaumes et ouvrages du prophète royal David... » ; « Clavicule de la sacrée Caballe juive, ou véritable traité de la Caballe juive... » ; « Sepher, mot à mot de la lettre... » (Mélanges astrologiques). Subject : Recueils et traités divers. Physical description : Papier. 53 feuillets. 210 × 165 mm. Demi-reliure. - Titre / Title : « Magia Abraham oder Underricht von der Heiligen Cabala ». (La Magie d'Abraham ou l'enseignement de la Sainte Cabale). ABRAMELIN . Magie sacrée que Dieu à donné à Moïse. Copiée d'après un livre prêté par Papus à P. Preybet. - Titre / Title : « Full Title : Magie sacrée que Dieu à donné à Moïse ». Thanks to Ora Clavis for the link. - Abraham ben Simon bar Juda ben Simon. Das Buch der wahren praktik von der alten Magia. Anno 1608. Wolfenbüttel Library, Codex Guelfibus 47.13. - Abraham von Worms. Die egyptischen großen Offenbarungen, in sich begreifend die aufgefundenen Geheimnisbücher Mosis; oder des Juden Abraham von Worms Buch der wahren Praktik in der uralten göttlichen Magie und erstaunlichen Dingen, wie sie durch die heilige Kabbala und durch Elohym mitgetheilt worden. Sammt der Geister – und Wunder-Herrschaft, welche Moses in der Wüste aus dem feurigen Busch erlernet, alle Verborgenheiten der Kabbala umfassend. Köln, 1725. - Archive.org - The Sacred Magic of Abramelin the Mage. - Book of Abramelin: A New Translation, Abraham of Worms, edited by Georg Dehn. - Des Ténèbres à la Lumière - La magie sacrée ou le livre d’Abramelin le mage. 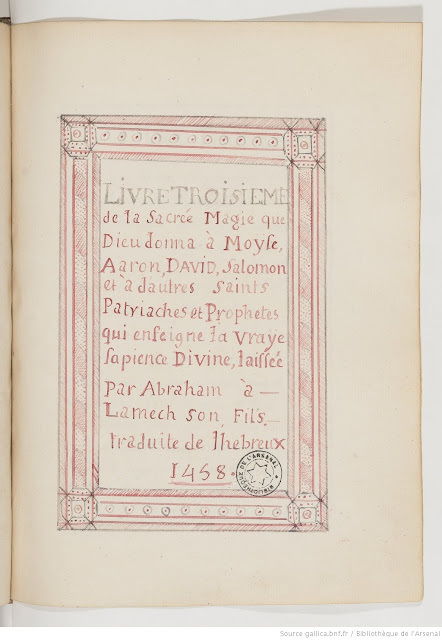 - Le Blog de Vincent Lauvergne - L’huile sainte d’Abramelin le Mage. - Magia Abraham oder Underricht von der Heiligen Cabala. Signatur TS. Saxon State and University Library, Dresden. MS M 111. - Maria Elena Loda: La Magia Sacra di Abramelin , in Misinta n° 31, Brescia 2009 ( critical article about the Italian manuscript of the Martinengo Collection ) e "Libri, Maghi, Misteri: il manoscritto di Abramelin nella Biblioteca Queriniana di Brescia. ", in Medioevo 216, Gennaio 2015 ( critical article with new details about the Italian manuscript of the Martinengo Collection ). - Sefer Segullot Melachim. Anonymous. Oxford University, Bodleian Library. MS. OPP.594. - The Magickal Review - The Book of Abramelin: A New Translation by Abraham von Worms Edited by Georg Dehn, translated by Steven Guth. - Wikipedia: Le Livre d'Abramelin le Mage. - Wikipedia: The Book of Abramelin.